BlogHome » Is there a medical impact in addressing non-medical needs? Improving the care of high‐need, high‐cost patients is a compelling national challenge. These patients often have multiple competing chronic conditions as well as functional, social, economic, and behavioral issues that are commonly overlooked in traditional medical care settings. When we started thinking about how Kaiser Permanente was addressing patients with complex needs, it became apparent that while there had been some programs in the literature that had looked at this, nobody had really developed a program within an integrated delivery system. I think it was a wonderful opportunity for Kaiser Permanente Colorado to develop a rigorous model of care delivery with a clear evaluation pathway to find out what is the right way to deliver care to these high-needs, high-cost patients within an integrated system. In the past few years, we are increasingly aware of the importance of addressing non-medical needs to achieve better outcomes. We need to design systems that make it possible for our health care teams to tackle issues like food insecurity, transportation, and caregiver support. Our Primary Care Plus initiative is a notable example of empowering a professionally diverse team of experts with an effective process to meet the needs of our most vulnerable patients – all while reducing costs. One of the key added values that Primary Care Plus brings is that we aren’t simply looking at medical care gaps. Primary Care Plus integrates palliative care, behavioral health, pharmacy, and social supports within a “patient-centered medical home,” which places the member at the center of an interdisciplinary team to address their needs in a holistic way. We’re diving deeper to find out what’s important to them and how we can help. We are addressing their social needs, such as scheduling home safety evaluations, helping them find support groups, and navigating available community support benefits. The interdisciplinary team creates capacities to provide these supports – not only for the patients themselves, but for their caregivers. We are developing close relationships and continuity getting to see how people evolve. We see this, for example, in patients who have dementia. Oftentimes it’s the caregivers who really are the ones struggling the most and need the support. We leverage community organizations such as the Alzheimer’s Association to connect caregivers to the support that they need so that they can feel confident to take care of the patient. Primary Care Plus includes four integral components: identification, intake, an interdisciplinary team meeting, and longitudinal proactive outreach. The way we select patients for Primary Care Plus is to identify those who have a good deal of medical complexity using the Kaiser Permanente segmentation algorithm, which places people into 1 of 4 care groups ranging from healthy members (care group 1) to frail or end-of-life patients (care group 4). We also look at those who are a little less complex but have self-reported geriatric syndromes, such as falls, depression, or frailty. Additionally, we look for those who’ve been persistently high-cost within their care group for at least the past 2 years. A RN care coordinator completes a chart review and detailed assessment by calling the patient and caregiver to discover their goals and priorities using motivational interviewing techniques. If any urgent social needs are identified during the RN care coordinator’s call, a licensed clinical social worker on the team will contact the patient immediately to assist. The patient’s care team includes the primary care physician, clinical pharmacy specialist, a supportive (palliative) care social worker, licensed clinical social worker, and a RN care coordinator. The RN care coordinator leads a conversation with the team, informed by what matters most to the patient and each team member’s recommendations on how to help the patient meet his or her goals. The RN Care Coordinator calls the patient to share the team’s recommendations and set up a next contact date. The frequency of proactive outreach calls varies with the acuteness of patients’ medical needs, their family or caregiver situations, and their need for social supports. Another special piece of Primary Care Plus is that the RN care coordinator serves as a single point of contact for the patient. The patient can contact the RN care coordinator or licensed clinical social worker for issues that arise between scheduled proactive outreaches. It’s that social connection and relationship over time that builds trust and enables us to find out exactly what the patient needs while creating a therapeutic relationship where we can help motivate patient behavior change. Primary Care Plus was designed to improve quality, affordability, and patient satisfaction. Compared to a matched control group, Primary Care Plus significantly improved quality and affordability outcomes. Some of the positive quality impacts were increased screening for depression and anxiety among Primary Care Plus patients. They were also more likely to have had a palliative care encounter, and they were more likely to have had a clinically significant pharmacy encounter. What Primary Care Plus also did was shift expenses upstream. The program adds some costs to the system in the outpatient arena, but that increase is more than offset by avoidance of inpatient, Emergency Department, skilled nursing facility, and pharmacy costs. We are also managing patient conditions more proactively, so that we don’t get to that high-end cost of care later in life. Primary Care Plus not only meets triple aim goals but also improves team function and satisfaction in primary care departments across disciplines. Patients and members have regularly expressed high levels of satisfaction with having a single point of contact and feeling that their care needs and desires were truly being heard. Primary Care Plus is currently operating at five Kaiser Permanente Colorado Medical Offices and was replicated at Kaiser Permanente Woodland Hills Medical Center in Southern California last year. We are also in the process of introducing the program to our Kaiser Permanente Los Angeles Medical Center in partnership with Kaiser Permanente’s Care Management Institute. As a geriatrician, I get to take care of patients and help them through some pretty difficult times. Primary Care Plus leads us to learn about not only them, but their families, what their hobbies are, and what matters to them. We are developing close relationships and continuity getting to see how people evolve. You get to hear about when they’re going to a graduation, or about their pets. These personal stories allow you to see the entire person, and let you know what a difference you are making in that person’s life. It’s such rewarding work, and that is just incredibly satisfying as a professional. 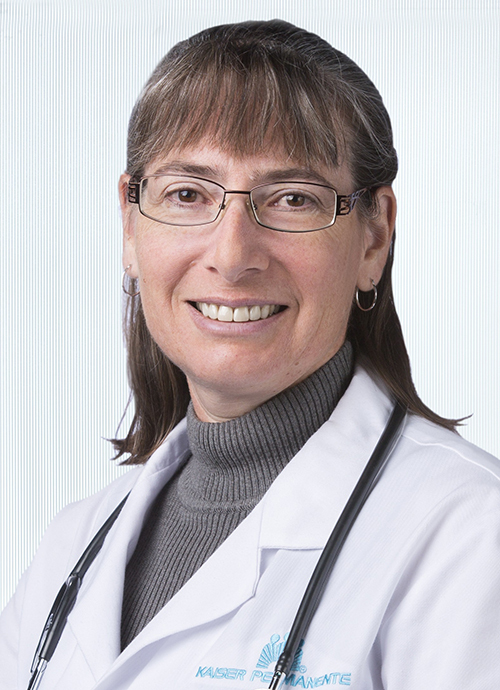 Wendolyn Gozansky, MD, is vice president and chief quality officer for the Colorado Permanente Medical Group and a national Permanente quality leader of The Permanente Federation.